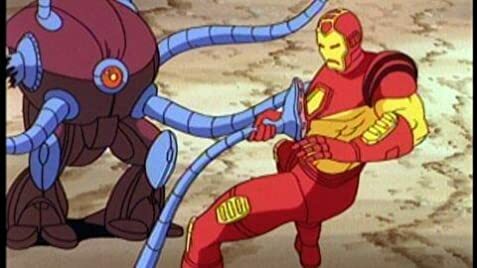 The Mandarin captures Iron Man and the rest of Forceworks. He plans to use their life forces to power the Heart of Darkness so that he can shut down all technology on the planet. The adventures of the cosmic wanderer as he seeks his lost home after rebelling from his master. Iron Man: Oh, call me reckless, but I also accidently erased everything else in your computers. I hope that won't set Hammer Industries back more than couple, oh, three years. Well my last review on this show was negative, but now that I have watched the whole series that has changed. Just like everyone else has stated that season one was terrible and i agree with them . As, I felt that every single episode of that season had the same formula, the same villains, the same plots and just the same everything. This was pretty obvious to know how each episode would end. Also, the terrible CGI did not help. But season, came along and changed things up a bit, by actually adding new villains, having this home computer called H.O.M.M.E.R who is in J.A.R.V.I.S. I especially like how episode 7 s2 was handled. The voice actors was good but season 1 felt it was lacking, Robert Hayes is a pretty underrated voice actor in my opinion. 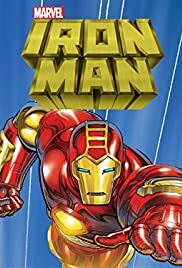 I wish they explained though how he got H.O.M.M.E.R, I also wish they did more crossover episode that would have debuted Spider-Man, Captain America, The Fantastic Four and the X-Men but other then that it was a decent iron man cartoon.